Referred to as Alice & Ian in Hot Wacks, which makes it awfully hard to find in any search engine and proves that Kurt from HW never saw an actual copy. Side B: Jethro Tull: Jam-Quote/ To Cry You A Song/ Aqualung/ Wind Up NOTES: The usually listed information “Recorded at the Hofstra University, Denver CO. 11.05.73” cannot be correct. Does anyone know the actual source? 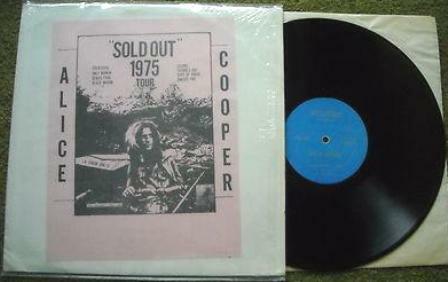 Recorded live at the Rooster Tail, Detroit, MI, 1971. 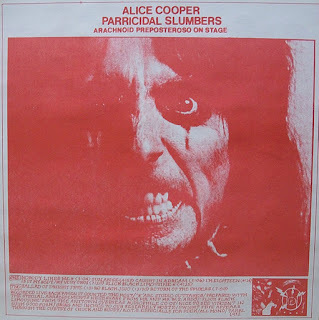 Another Excerpt from the “BOOTLEG BRAGGADOCIO!” article: ” Takrl also pumped out this Alice Cooper set which was, for some odd reason, a little more obscure’n some of the other Korneyfone releases that I’ve come across which is one reason why I’ve had to rely on a cassette dub of it for quite a long time. But after that ‘un got lost in the vast boundaries of my tape collection it was time that I procured an actual copy and (as usual) I am ever grateful for doing so small pleasure’d life I lead. 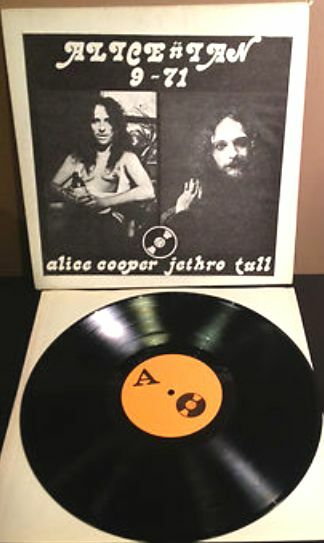 Now, I will admit that very few of these Alice boots capture Alice in his prime, and in fact other’n the ones that reproduce his 1969 FM broadcast from the Avalon Ballroom as well as another extremely hard-to-find collection of second LP outtakes (not forgetting the slew of ’69 Toronto releases which can be picked up with extreme ease) I can’t think of any Cooper bootlegs that dig into the pre-superstar era with any real depth. That’s why PARRICIDAL SLUMBERS is such a wowzer, not only for its representation of an obscure LOVE IT TO DEATH-period show but for the additional goodies that the folks at Korneyfone stuck on at the ends, most notably the “Nobody Likes Me”/”Slick Black Cadillac” flexi/cardboard disc that somehow made it out to fan clubs around the time of the SCHOOL’S OUT tour. 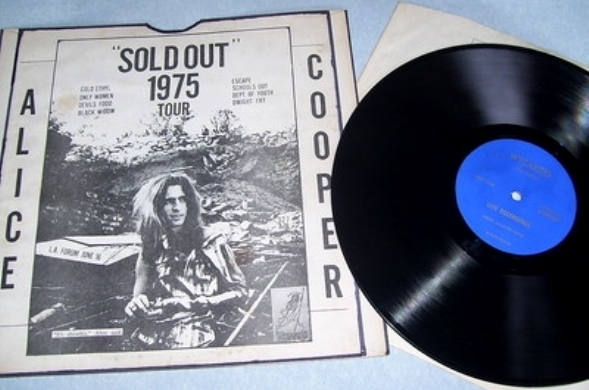 An extremely vital platter for fans of the band especially when you consider “Nobody’s” prominence in the PRETTIES FOR YOU-era Cooper set and how it should’ve made the first LP but somehow didn’t. For me the big draw here’s the live gunch showcasing the group at their Detroit hardest romping through choice tracks from LOVE as well as a rousing encore of “Return of the Spiders”, that sleeper from the EASY ACTION album back in the days when only Stiv Bators seemed to be paying attention! 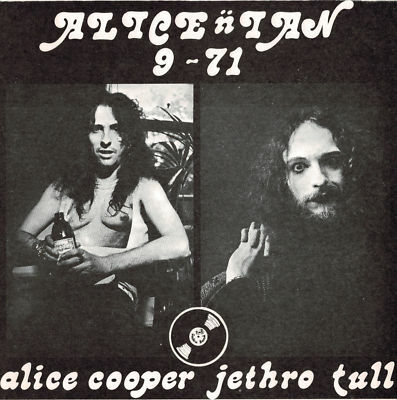 Now that’s something which I gotta say certainly surprised me considering how at one time Alice was about as anxious to dump his older material from their sets as the Stooges!